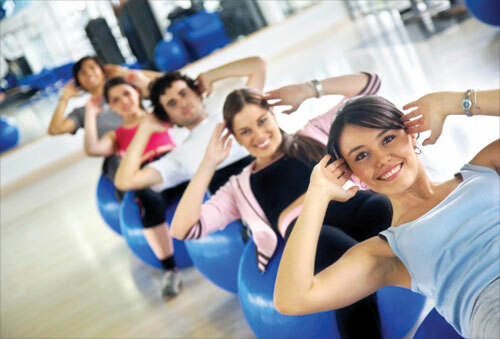 If you love great music and being with other people, now is the time to try a group exercise class at your gym. Over the years I’ve heard so many people say “That class looks really fun, but I’m afraid to try it since I don’t know the moves and would hate to look stupid”. If you’ve had these thoughts in the past, banish them out of your head right now and give a group exercise class a try. You will find that people in group exercise classes remember their first time they tried the class and will warmly welcome you into “the family”. Also, a great instructor will notice that you’re new and spend extra time helping you catch up so you can enjoy the class as much as everyone else. It’s extremely important to vary your exercise routines. When you perform different kinds of exercise, you work different muscle groups. Think about long distance runners. If running is their sole means of exercise, they develop very strong legs with great endurance. But, our bodies need more than just leg work. We need strong shoulders, backs, abdominals, and arms. We need a well-rounded program which can be fully addressed in many group exercise classes. Varying your workouts helps keep your routine fresh and exciting and helps prevent burn-out. Mixing together weight training, kick-boxing, tai chi, spinning, and power walking gives your body the ability to gain strength, endurance, and flexibility. Plus, it’s a lot of fun! When choosing a class, it’s important to know your fitness goals. If you haven’t done so already, write your goals down and post them up where you can see them everyday. This reminder helps keep you on track and reminds you how important exercise is to you. These group exercise classes can address all your fitness goals if you combine them with other activities—pick and choose ones that align with your needs. According to the International Health Racquet & Sportsclub Association’s Retention Report, the number one reason why people are more likely to stay a member of a health club is related to connecting members with other members. The perfect location where member-to-member relationships are encouraged, cultivated and socially accepted is the group exercise studio! Group exercise classes focus on the experience of the class instead of the complexity of the moves. After a class, participants have improved confidence, a sense of accomplishment and feel connected to their peers. So, what are you waiting for? Go for it—who says you can’t have FUN while getting fit? Thanks Molly, I am a believer in mixing it up. 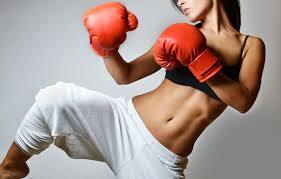 I want to try kickboxing just need to do it! Let us know how you like your kickboxing class! I think you will love it! Copyright © 2011-2014 Molly Napolitano. All Rights Reserved.